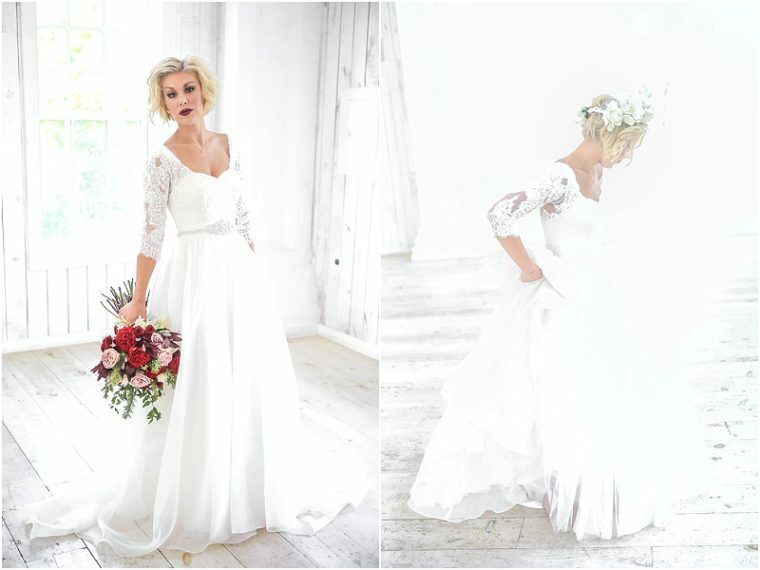 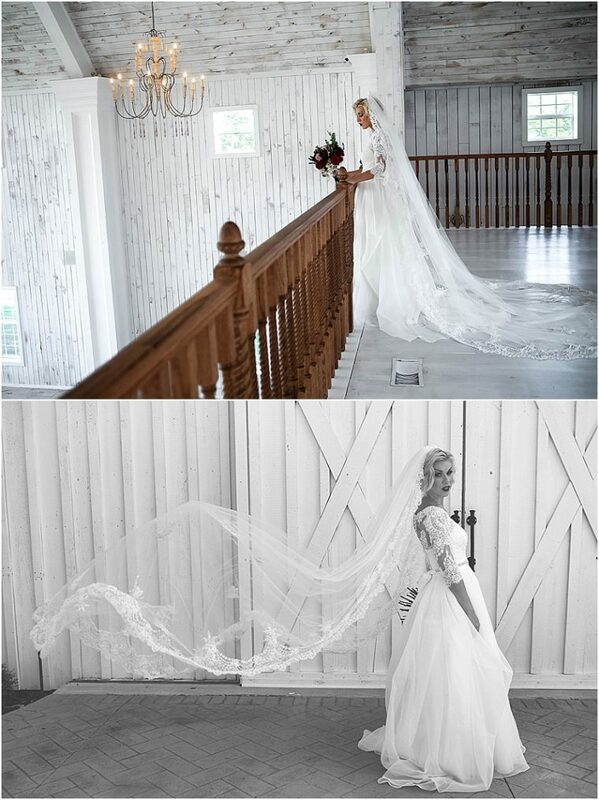 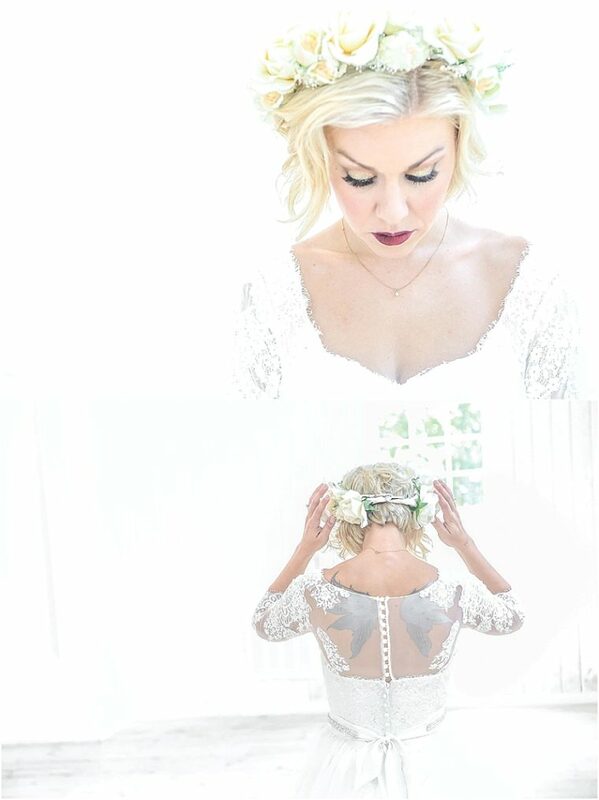 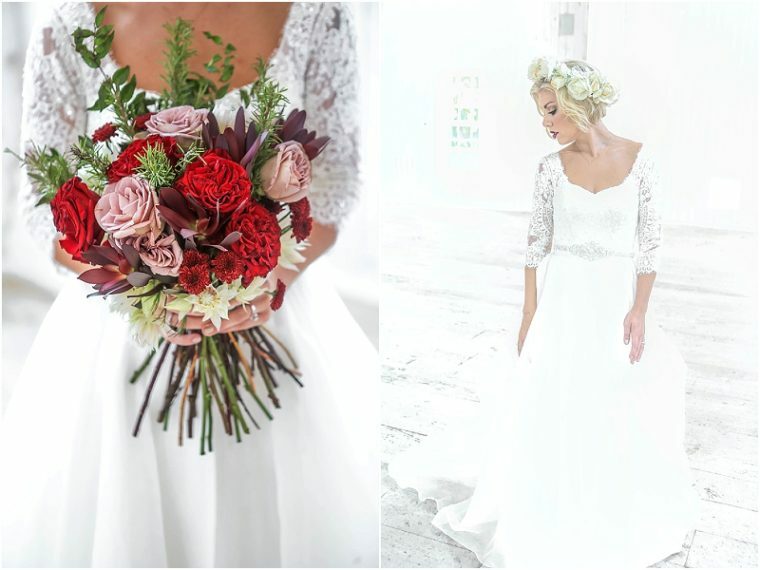 This gorgeous Quinlan bridal shoot sent in by Double You Photography is both romantic and bold. 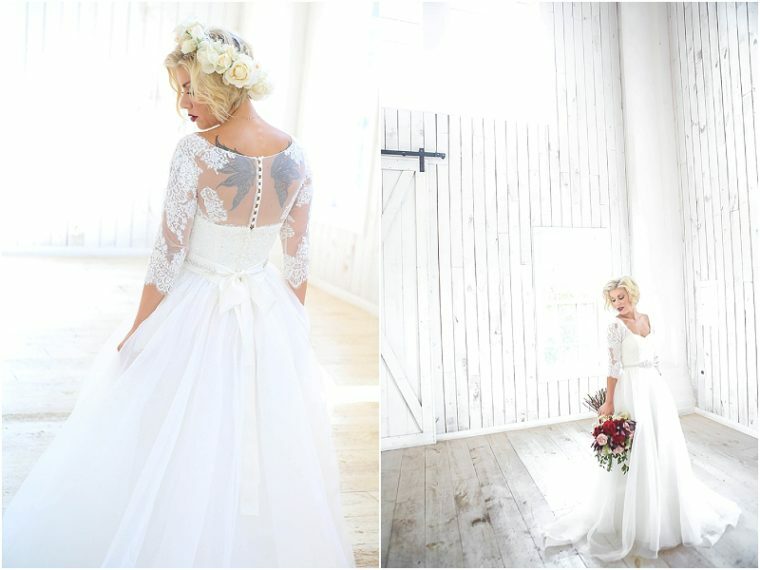 This bride has a unique style and looks amazing in a flower hairpiece, lace wedding dress that shows off the tattoos on her back, and floor length veil. 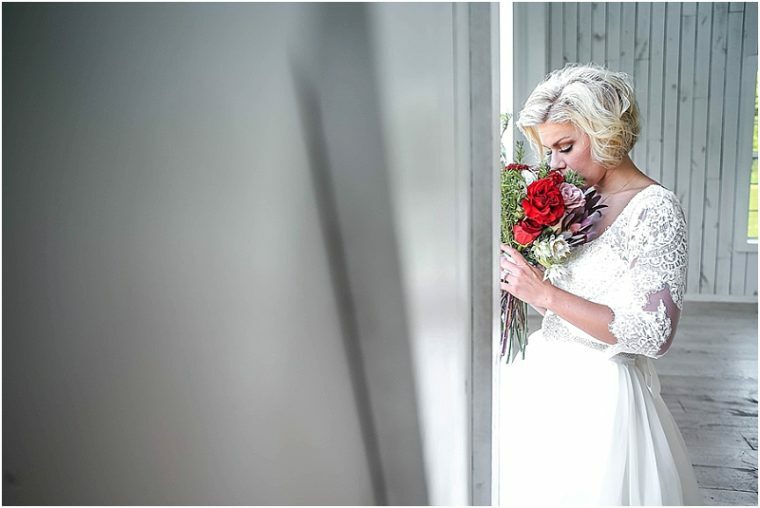 The vintage white barn used for this shoot serves as a lovely background in these photos. 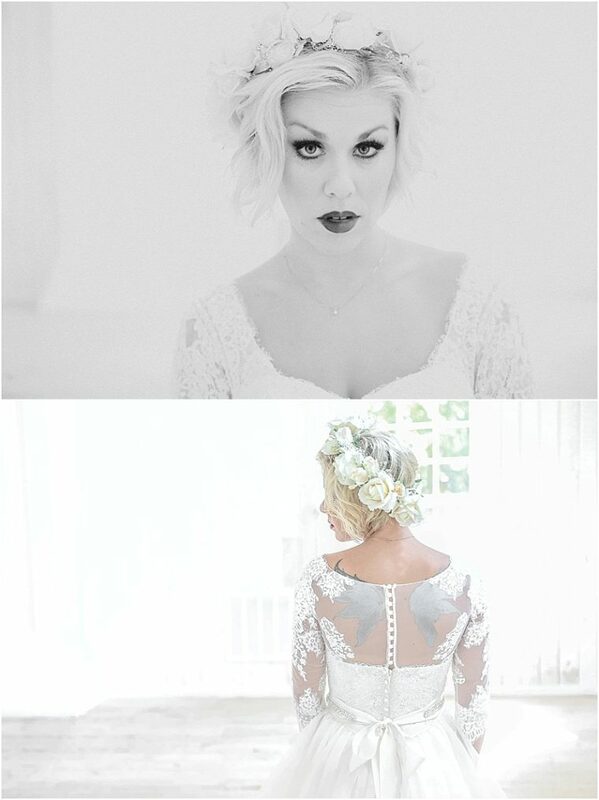 White on white may not seem like a good idea at first to highlight the bride, but it works wonderfully in these photos. 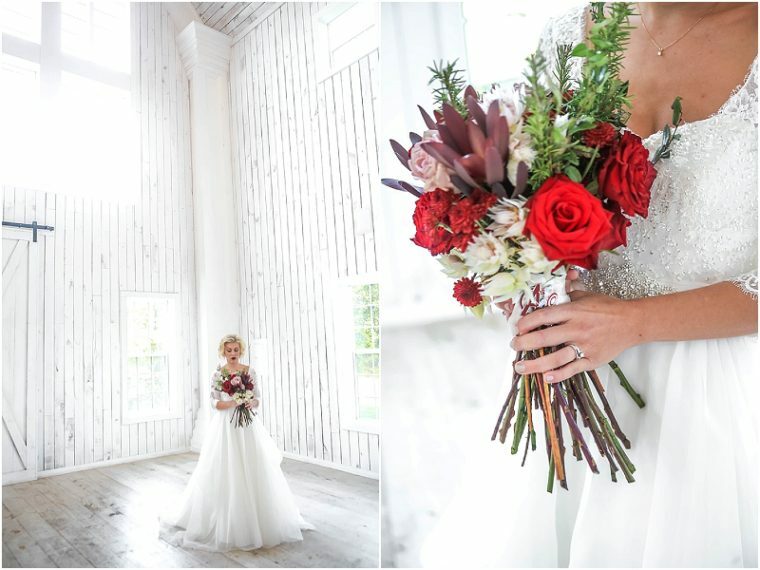 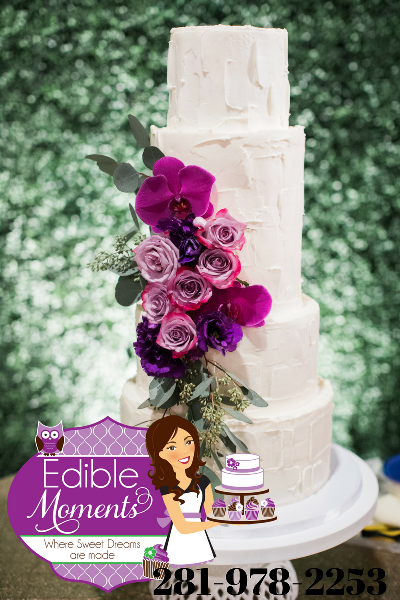 The large and vibrant colored bouquet also works as the perfect pop of color. 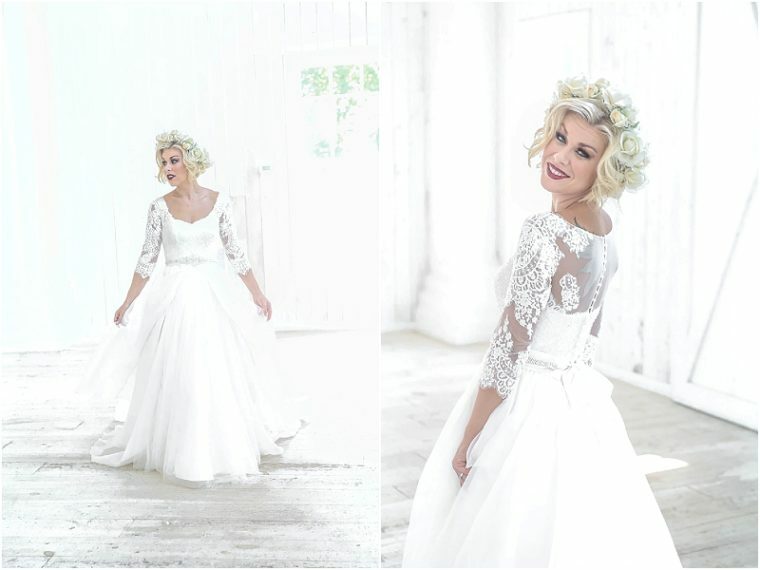 Check out more photos from this bridal shoot in the gallery.